Situated at the site of the Alfred Dallaire-MEMORIA complex, at the junction of Saint Martin Blvd. 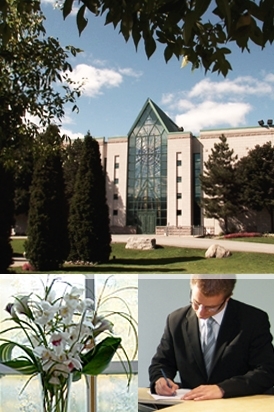 East in Laval and Highway 19 (Papineau), the Saint Martin mausoleum is situated a scant five minutes from Montréal. A team of funeral counsellors is present every day to welcome you. Open 365 days a year from 8:00 a.m. to 9:00 p.m.